The Republican National Committee says it is suspending its February debate with NBC News amid anger over CNBC's handling of this week's debate in Boulder, Colorado. NBC said in a statement it will "work in good faith to resolve this matter." RNC chairman Reince Priebus sent an open letter to NBC News chairman Andrew Lack on Friday declaring that they are "suspending the partnership" because the CNBC debate had been conducted "in bad faith." "While debates are meant to include tough questions and contrast candidates' visions and policies for the future of America, CNBC's moderators engaged in a series of 'gotcha' questions, petty and mean-spirited in tone, and designed to embarrass our candidates," Priebus wrote, echoing the complaints lodged by many candidates. "What took place Wednesday night was not an attempt to give the American people a greater understanding of our candidates' policies and ideas," Priebus added. Priebus said that while he understood "NBC does not exercise full editorial control over CNBC's journalistic approach... the network is an arm of your organization, and we need to ensure there is not a repeat performance." As chairman, Lack oversees NBC News and MSNBC, but not CNBC. 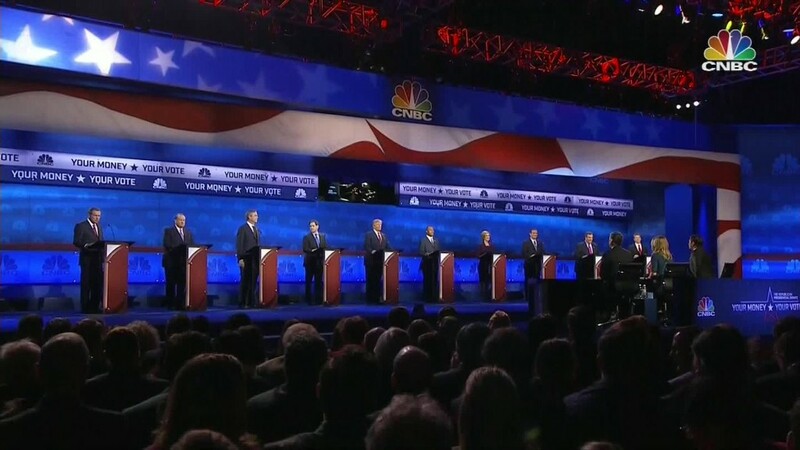 NBC was scheduled to host a GOP debate February 26 in Houston with both Telemundo and National Review as partners. Telemundo is a Spanish-language broadcaster owned by NBC, and National Review is a conservative publication. Priebus' letter said the RNC would ensure that National Review remains part of the debate, but didn't mention Telemundo. "We still fully intend to have a debate on that day, and will ensure that National Review remains part of it," Priebus wrote. Three hours after the letter was released, RNC communications director Sean Spicer said the party hasn't heard from Lack yet. But NBC News said in a statement: "This is a disappointing development. However, along with our debate broadcast partners at Telemundo we will work in good faith to resolve this matter with the Republican Party." The letter from Priebus is a move to assert control over the debate process at a time when Republican campaigns seem poised to wrest control from the RNC's hands. On Thursday, representatives from several campaigns made plans to hold a Sunday meeting in Washington, D.C., to discuss plans for wresting more control of the debates from the committee. Though Priebus joined the candidates in expressing deep disappointment with CNBC's handling of the debate, several campaigns accused him and the RNC for failing to ensure that the debates are conducted in a substantive, focused and non-biased manner. The meeting will go on as planned on Sunday, the campaigns confirmed Friday, and information will be relayed to the RNC afterward. There are several other debates scheduled between now and February, including a Fox Business Network debate in November and a CNN debate in December. The RNC has not spoken publicly about any objections to those debates.